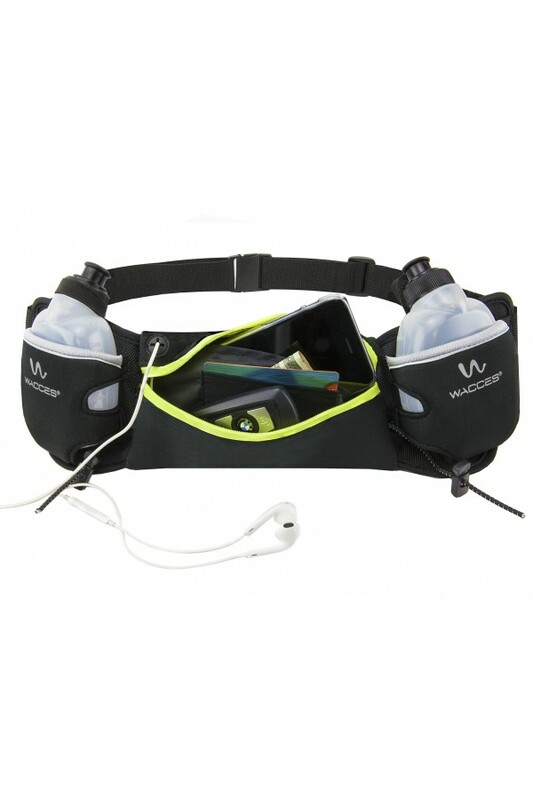 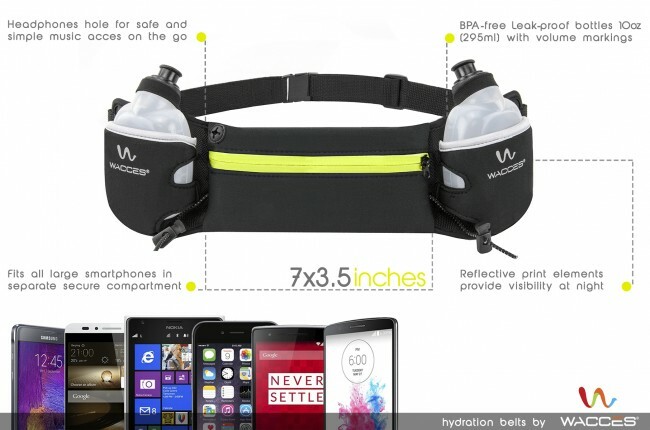 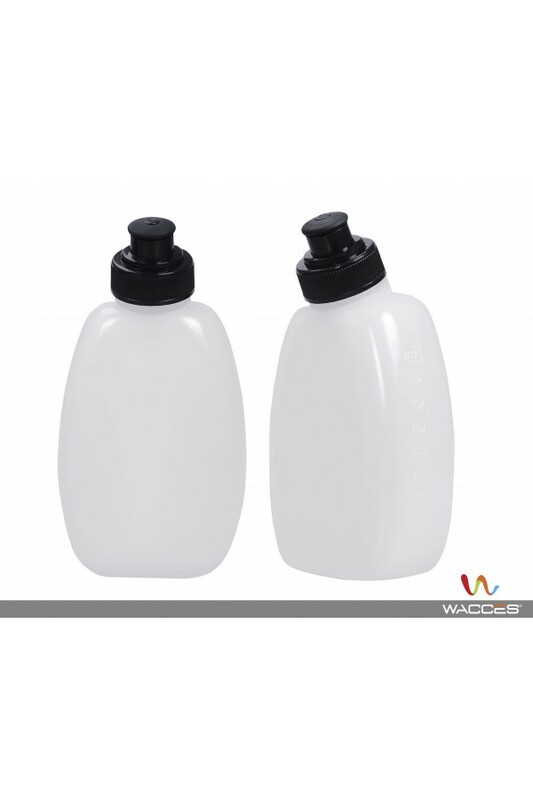 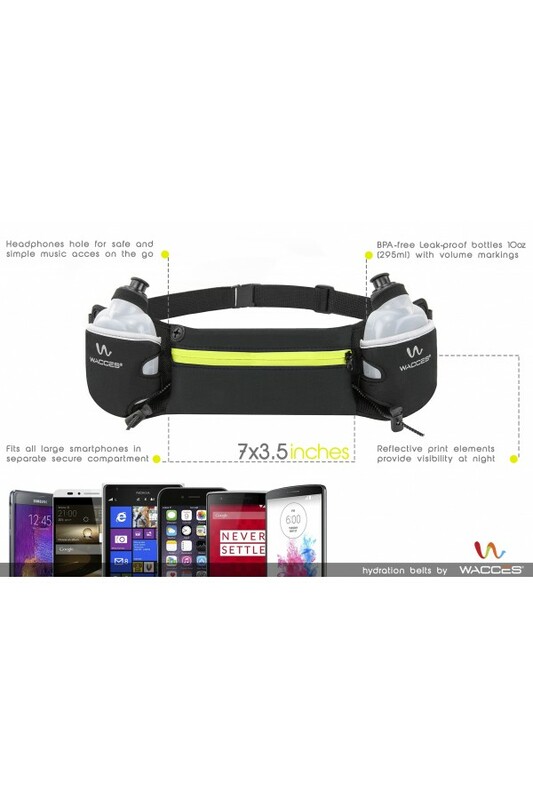 Take your run to the next level and stay hydrated every step of the way with Wacces Waist Hydration Belt. 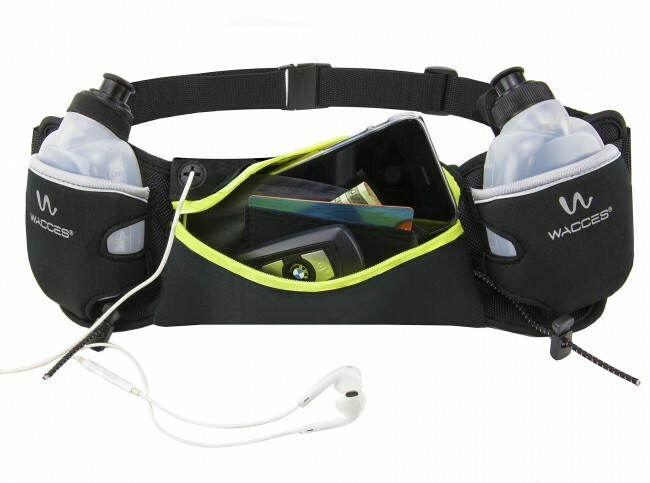 This fully adjustable running belt includes two 10oz bottles with push pull caps which keeps you hydrated without breaking a sweat with a velcro belt for a bounce free run. 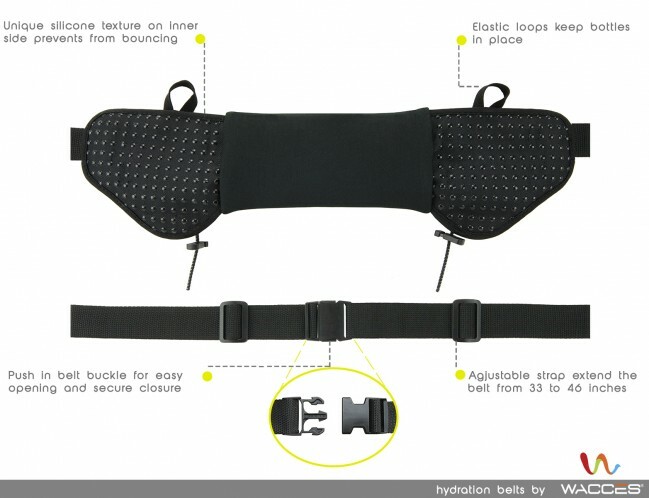 Comes with a silicon dot texture to prevent any skin irritation and a durable and strong zipper pocket that keeps essentials organized and secure. 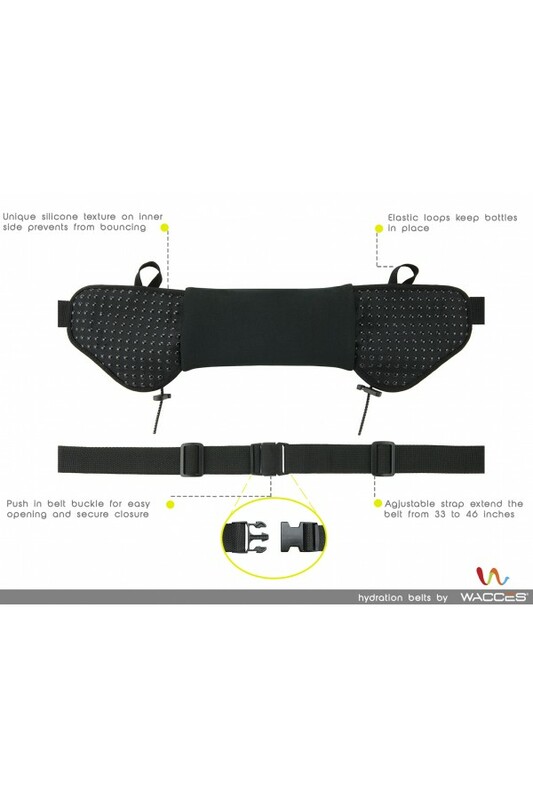 Adjustable elastic waist strap adjusts to your hip size: 27" to 40". 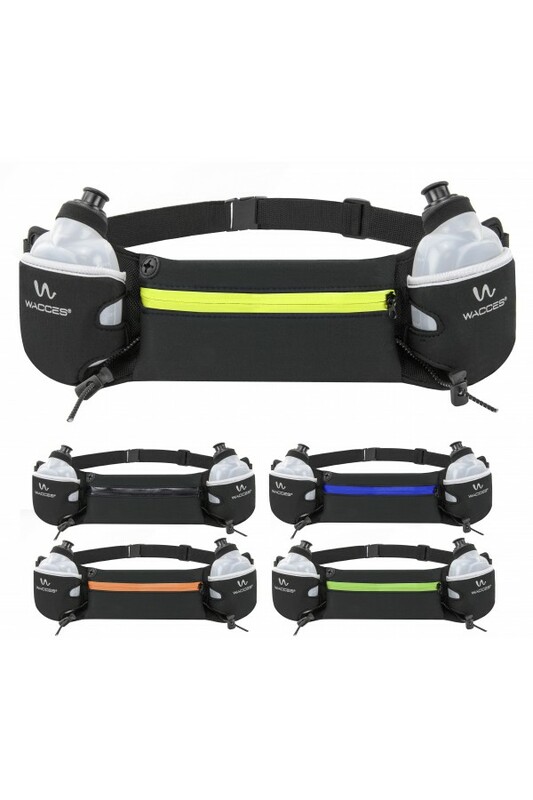 The Wacces logo reflects in the dark for a safe run at night. 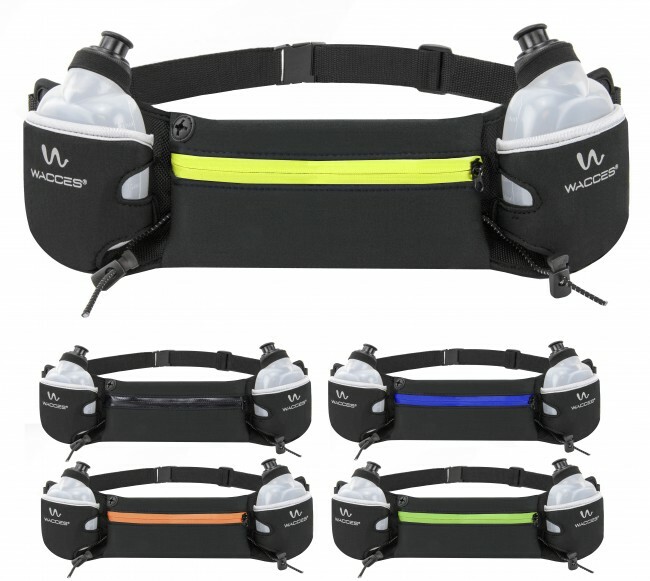 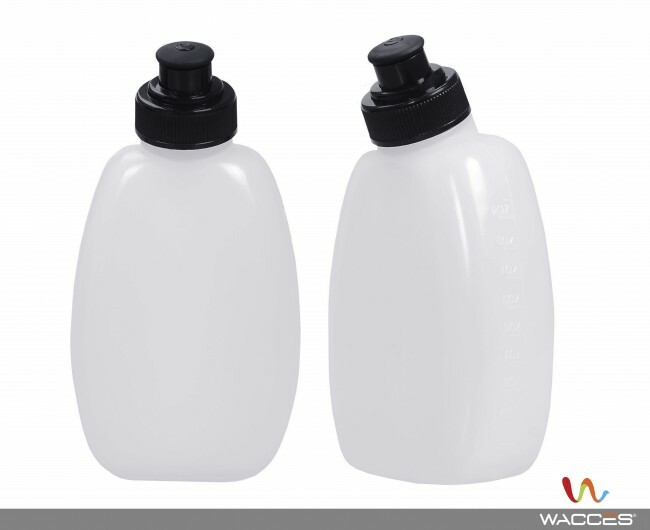 1 Two Bottle Waist Hydration Belt.